Get to know one of the 10 most influential Utah women in skiing. If you'd like to become a U.S. Olympic downhill ski racer, you might like to talk to Margo Walters McDonald who's been there and done that. 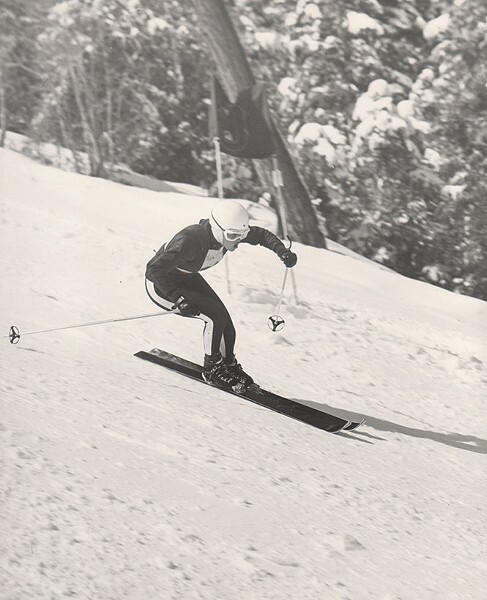 She has been noted as one of the 10 most influential Utah women in skiing, is an honoree of the Alf Engen Ski Museum's Utah Sports Hall of Fame, was former executive director of the Intermountain Ski Association and was a U.S. Ski Team member who competed in the 1964 Winter Olympics in Innsbruck, Austria. When did you first start to downhill ski? I was born in Rexburg, Idaho, and grew up in St. Anthony, where I went to school and first started to ski at a little hill called Bear Gulch about 40 miles away. It had a rope tow and a T-bar and was popular with the locals. The Lions Club ran a bus program for school kids every weekend. My first skis were wood without sharp edges that my dad bought from Sears Roebuck. The bus had no heat and our clothes were not waterproof. So, after falling a lot on those fast, but not sharp-edged skis, I'd be chilled on every ride home. I always said I'll never ski again, but it was lots of fun. We never had lessons, but nobody got hurt, except the one time my brother broke his leg. At each lift run, our ticket got punched, so we competed to see who could do the most runs. When did it become evident that you would go on to greater things? When I was 12, The Salt Lake Tribune ran a ski-racing contest for all the kids in Idaho, Wyoming and Utah in [conjunction with] the Intermountain Ski Association. Bear Gulch represented a small population, so a couple of us were chosen to compete at Brighton. It was the first time I was ever on a real ski lift. I disqualified, but when I saw those trophies, I wanted one. My family moved to Salt Lake City the following year, and I won every year until I became 18, when I became an up-and-coming ski racer. How did you get to the Olympics? In tryouts, I was No. 2 in the downhill, so I qualified for the 1964 team. My dad got involved in the Intermountain Ski Association. As president, he went to national conferences where he was elected president of the National Ski Association. He was a real supporter. What did you do after the Olympics? running marathons, got married, had a couple of beautiful children and made Salt Lake my home.